The veterinary equipment company Midmark Corporation announced the acquisition of VSSI, Inc. (a leading manufacturer of veterinary practice equipment), to expand their product portfolio range in United States. DRE veterinary launched its own website DREVeterinary.com to establish their online distribution channel. Diseases such as avian influenza, contagious equine metritis, tuberculosis and others have been occurring in animals over the years. Rising incidences of zoonotic diseases are increasing the chances of diseases in pets as well as humans and pose a serious risk to animal and human health. Further, due to rising cases of infectious diseases, the regular pet and other animal diagnostic rate is improving across U.S. 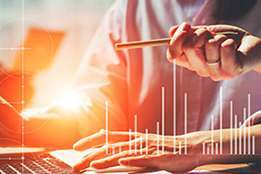 Along with that, rising number of pet owners and swelled U.S. pet industry spending are expected to emerge as a major driving factor behind the growth of the North America veterinary capital equipment market. 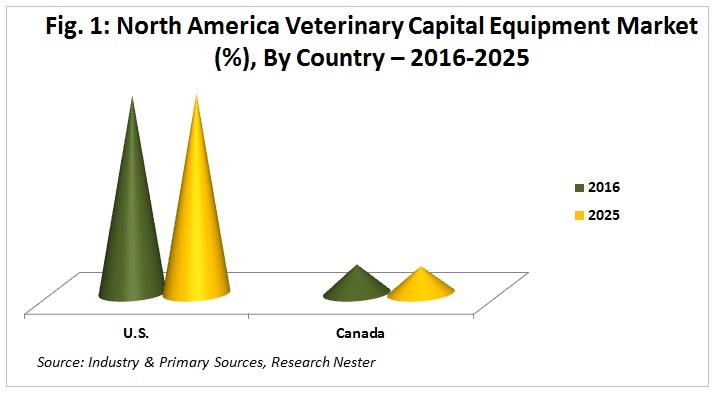 The North America veterinary capital equipment market accounted for USD 800.3 Million in 2016 and is expected to reach USD 1136.4 Million by the end of 2025. 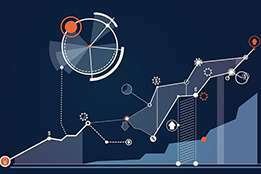 Further, the North America veterinary capital equipment market is estimated to witness a notable CAGR of 4.2% over the forecast period 2018-2025. The United States held the dominant share of around 85% during 2016 in the North America region. The technological advancements in veterinary equipment and rapid introduction of advanced veterinary equipment are also bolstering the demand for veterinary capital equipment across U.S. In addition to this, continuous rise in number of veterinarians in the United States is also expected to create business opportunities for veterinary capital equipment manufactures in the region. The number of active veterinarians in U.S. has been increasing over the past years. These veterinarians are engaged in vet healthcare activities such as animal research, clinical practices and others. This rising number of veterinarians is fuelling the demand for veterinary capital equipment. 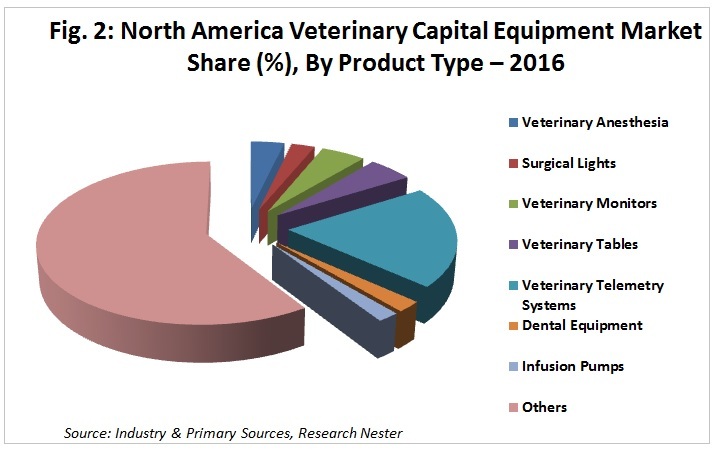 Thus, increasing demand for new veterinary capital equipment among veterinarians is expected to foster the growth of the veterinary capital equipment market in North America over the forecast period. Further, the infection rate among pet animals has been continuously increasing which is expected to increase the number of patients in veterinary hospitals in the upcoming years. Apart from this, diagnostic equipment such as X-ray machines, ultrasound scanners, microscopes and others are showcasing great potential for the future growth owing to the rising visiting rate of patients in the animal hospitals. Additionally, the increasing U.S. pet industry expenditure is also believed to aid the North America veterinary capital equipment market to grow in near future. 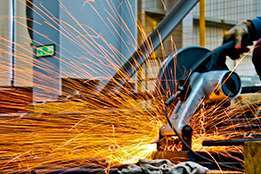 Capital equipment such as C-arms, x-ray imaging systems are very costly because of which the small hospitals and private facilities are refraining from large scale investments in these equipment. High cost of advanced and giant veterinary equipment is expected to limit the growth of the North America veterinary capital equipment market. 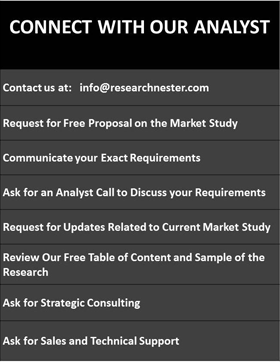 Some of the affluent industry leaders in the North America veterinary capital equipment market are Smiths Medical, Medtronic Plc., Abaxis, Welch Allyn, Bovie Medical, DRE Veterinary, VETLAND Medical, Midmark Corporation and Digicare Biomedical Technology, Inc. 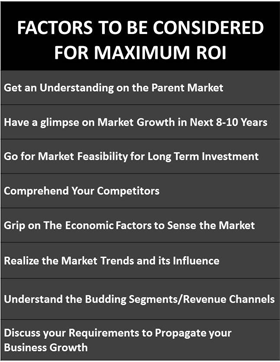 The companies are actively getting engaged in the launch of new products to gain competitive edge over other players. 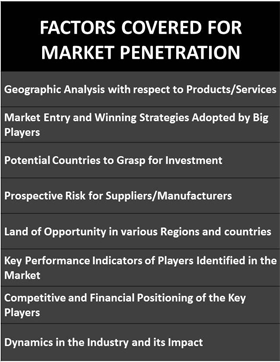 Further, the veterinary capital equipment manufacturers are continuously looking for potential acquisitions to strengthen their position in the market and are expanding their presence and production capacity in order to survive in this highly competitive market of veterinary capital equipment. In addition to that, manufacturers of veterinary capital equipment in North America are increasingly looking forward to strengthen their distribution channel through initiatives such as offering their products under other distributors or through their own online stores among other platforms.